with books that would later make الرينيساس بتاعهم possible? class coincides with our Laura Branigan phase. she remarks على فكرة that’s originally an Italian song. Copyright © 2018 Lena Khalaf Tuffaha. Used with permission of the author. 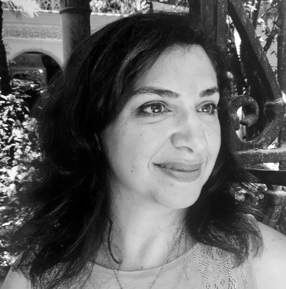 Lena Khalaf Tuffaha is the author of Water & Salt (Red Hen Press, 2017). She lives in Redmond, Washington. Thanks to Rigoberto González, author of Unpeopled Eden (Four Way Books, 2013), who curated Poem-a-Day this month. Read more about González and our guest editors for the year. Thanks for being a part of the Academy of American Poets community. To learn about other programs, including National Poetry Month, Poem in Your Pocket Day, the annual Poets Forum, and more, visit Poets.org. You are receiving this e-mail because you elected to subscribe to our mailing list. If you would like to unsubscribe, please click here.